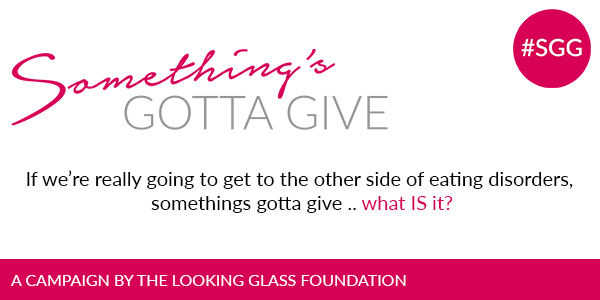 The Looking Glass Foundation for Eating Disorder's release of their "Something's Gotta Give" (SGG) short film series has begun! The balance of episodes will be released periodically between now and the week of February 1st ~ marking the start of Eating Disorder Awareness Week in Canada. This year-long film project captures the views of some 55 people from across Canada – the recovering, recovered, loved ones, and practitioners who best understand the tragedy of this disease, and the urgency of overcoming it. View the first three episodes today!